This Revival Prayer Bible study will challenge you in many ways, hopefully leading you to personal spiritual renewal. Expect an awakening as you learn how St Paul the Apostle prayed for the believers at Colosse. You've never studied prayer and personal revival quite like this! 2) Why do we pray for other people? 3) How should I pray for revival? Real revival always brings with it a renewed devotion to the Lord. Commitment to pleasing God comes to the forefront of our minds. Colossians chapter one has been chosen as the biblical text for a couple of critical areas of revival: prayer and a call to godly living. Without these two commitments real Christian revival remains a pipe dream. Paul's epistles, like Peter says, "Are hard to understand. The untaught and unstable twist them to their own destruction, as they also do with the rest of the Scriptures" (2 Peter 3:16). Paul always challenges serious-minded individuals, never wasting words, never wasting time - his or ours. God grants no licenses for weak biblical exegesis, so, in order to glorify God we'll look at Colossians 1 deeply by using the Bible as the main interpreter. Please read (click): Colossians 1:1-2. The apostle Paul wrote this epistle to the churches at Colosse and Laodicea (Colossians 4:16). The fact that Paul was divinely appointed an apostle (Romans 1:1,5) authorizes him to write these God-breathed words to all saints of the New Covenant era in which we live. Jesus talks to his people by his apostle's writings, in this case, Paul of Tarsus. Paul's words are Christ's words (1 Thessalonians 2:13; 1 Corinthians 11:23a; 14:37), and ultimately, the very eternal words of God Almighty, by which we will be held accountable (Psalm 138:2 ESV; 2 Timothy 3:16; Mark 8:38). Paul addresses Christians by using the title of saints. Faithful believers in God through Jesus Christ are saints based on their standing before God. Saints are holy, consecrated, i.e. "set apart" from the world, being called to come out from their inherent love for the world. Saints have joined the Way of Jesus Christ, faithfully following Christ and his word. Saints have gained their standing solely based on the redemptive and interceding work of Jesus Christ; but, that would never have happened without their prior election by the Father (Romans 8:29; Ephesians 1:4-5,11), and the sanctifying power of the Holy Spirit (Romans 8:1-2). Paul acknowledges as much in verse 2b, "Grace be unto you, and peace, from God." True saints are fully aware of God's undeserved love, mercy, and eternal forgiveness. Based on the words of this introduction, all true saints must be in absolute submission to God and his word, to which we will now turn. Discussion Question: True revival preaching obviously relies upon the Scriptures; but, we've all heard stories about the questionable activities by audience members during revivals. 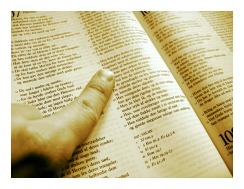 The Bible guides the preaching, so what guides the audience, if anything? [consider 2 Timothy 3:16; 1 Corinthians 14:40]. Please read (click): Colossians 1:3-5a. Paul, speaking also for Timothy, is always in a state of thanksgiving and prayer, especially for his fellow saints (1 Thessalonians 5:17). Paul proves his brotherly love for God's saints by praying for their physical and spiritual needs. How does such an important person as Paul find time in his busy schedule to always pray? 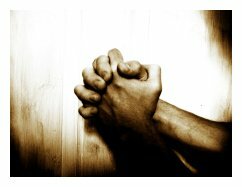 Squeezing prayer into one's schedule is difficult to imagine in our busy lives, isn't it? A key to Paul's secret is this: Clearing temporal, worldly distractions from his senses and mind made unceasing prayer possible (Romans 8:5-6; 1 Corinthians 7:35). We saints have the same duty as Paul did, that is, unceasing prayer for those people under our watch-care (ex. 1 Timothy 5:5). Neglecting this critical aspect of Christian life is totally irresponsible and shameful. Faith and Love, Based On Hope (vss.4-5a). Hope is our foundation in this series of Christian attitudes. The faith we have in Jesus Christ is based on our confident hope in the things prepared for us in heaven (Hebrews 11:1). The love we now experience for our true brothers and sisters in Christ is also established on the incredible hope in our eternal life with our Savior and Lord (1 Corinthians 13:7). Paul is consistent here with Galatians 5:5-6, a remarkably similar passage. He explains in the Galatians passage that those of us who are living by God's Spirit, with our sights set on receiving eternal righteousness, will live by faith, which expresses itself in love for others. In other words, our hope for personal, eternal holiness in the presence of God establishes our current faith in Jesus Christ alone, and servant love to our neighbors. Hope desires to please God. Hope stands strong against the world's temptations. Hope stops personal sins from becoming habitual sin. Hope leads us to repentance. Hope establishes our Christian lives of faith and love (Titus 2:13-14). Hope sees beyond the short life of this world. Finally, hope yearns to be in Christ's presence forever and ever (Hebrews 6:19-20). A saint with biblically based hope is a true saint, indeed (Romans 5:3-5 ESV). More specifically, for what does hope aim in our future inheritance? Paul gives us a tantalizing taste of the heavenly gifts prepared for us in 1 Corinthians 2:9, which says, "No eye has seen, no ear has heard, and no mind has imagined what God has prepared for those who love him." That's a large statement considering the millions of people who lived before Paul. His thoughts echoed an earlier prophet's thoughts in Isaiah 64:4. Additionally, Isaiah partly revealed the coming glory, the object of our hope, in Isaiah 65:17-25. Heaven will be the re-created earth, where sin and its destruction is eliminated and God's original intent for man and nature once again become reality. Most importantly, though, Jesus Christ will be directly reigning over the Kingdom (Matthew 25:31). Our hope, our longing, our deepest desires must be set on eternity with Christ. The moment that attitude fills our hearts and minds is the genesis of lasting faith in Christ and love for our neighbors. An examination of your own spiritual life that reveals anything other must bring you to repentance (1 Corinthians 11:31-32). After receiving forgiveness you must re-establish your spiritual life upon the proper foundation of hope. In summary, Paul sets an example for us by praying for all the saints, specifically that their faith in Christ and love for others is based on hope. Ephesians 1:15-23 beautifully offers this entire package of spiritual principles in a slightly expanded summary. Discussion Question: 1 Corinthians 13:13 informs us that faith and hope and love will last forever. So, why is love the "greatest" of these three virtues? (ex. Romans 8:24 for hope; Romans 12:2 for faith). Please read (click): Colossians 1:5b-8. Paul explains that the main emphasis of the Colossian's hope is found in the true gospel. The gospel was shared with them and it changed their lives. The hope they gained by trusting the true gospel was brought to them by Epaphrus, Paul's co-worker. All this to implicitly say, "There is one truth, one gospel, one faith, one baptism, one Lord, which all come through us - not anyone else" (see Ephesians 4:4-6). While not directly addressing false teaching here, Paul lays it on the line with the Colossians and Laodiceans. The plea to remain steadfast to the true gospel is re-issued in Colossians 1:23. Paul emphasizes the fact that this apostolic, God-breathed gospel is bearing fruit, both in their lives and in the lives of saints all around the world. Part of the "good fruits" are the hope, faith, and love attitudes formed in their lives. You can tell a man by his fruits (Matthew 11:19); therefore, good fruits are one indicator of the truth. Compare this soft warning about false teaching with the explicit hard warning Paul issued the Galatians in the corresponding part of their letter, i.e. Galatians 1:6-10. Paul introduces yet another of God's gifts in this section, that being his grace. God's grace, i.e. his undeserved love and favor, is the basis for the application of the truth of the gospel into their lives. Grace is solely the activity of God, reaching down to undeserving sinners, in order to work his life-giving miracles in their hearts. God's grace brought them their gospel-altered lives and only the same grace will keep them (Galatians 2:2-3). God is the ultimate source of grace and the uncaused cause of their renewed lives (Galatians 4:6-7). Grace makes the hope, faith, and love that the Colossians experienced possible. For that, all saints of all time should be incredibly thankful, including you and me, because today we share the same experiences. We can only place our faith in God by his amazing grace (Ephesians 2:8-9). Subsequently, we serve him by loving our neighbors, which is also pre-arranged by his sovereign grace (Ephesians 2:10). There is no denying God's sovereign hand in our salvation and sanctification (Mark 10:27). Discussion Questions: Does not all the glory for all these heavenly riches go to God, who creates all wonderful things? (Ephesians 3:20-21). Where do our actions often run amiss of this critical truth? If all heavenly riches come through God's grace, wouldn't it follow that true revival springs forth from the same source? (see Ephesians 1:3,8,11). Please read (click): Colossians 1:9-10. Paul now shares with the Colossians his unceasing prayer for them, which flows out of the preceding principles found in verses 3-8. The contents of his prayers are delineated in the next two sections of the lesson. Paul prays first that God grants the complete knowledge of his will to the saints. He requests that God shows them the right choices to make in their day-to-day decisions. On a daily basis, people face challenges and opportunities in the marketplace and at home; therefore, Paul asks the Lord to guide them in each and every circumstance. Christians know well how God guides us in decision-making: 1) the Bible, 2) Prayer, 3) the Church, i.e. fellow believers (Proverbs 11:14), and, 4) circumstances (Romans 8:28). Paul therefore intercedes on behalf of the saints that God's provision for sound choices be made available through these avenues of enlightenment. The following request Paul makes to the Lord is in reference to #1 above, the Bible. He asks that God "give them" two things: wisdom and spiritual understanding (v.9). The church age includes a process whereby saints gain wisdom and spiritual understanding through studying the Bible. So, Paul's prayer is a request that includes both divine illumination by the Spirit, and one's efforts in reading, learning, and applying the Scriptures. Paul is asking God to supernaturally open the eyes of the Colossian's hearts (e.g. Luke 24:45; Acts 16:14); and, also plant in them the desire to love, know, and live his Word (ex. Psalm 119:165-168). Knowing the Scriptures, prayerfully lifting requests to God, Christian's wise counsel, and life's circumstances, all work in harmony helping a person please the Lord. In other words, a Christian who is gaining knowledge of the Bible, practicing wisdom, and receiving spiritual understanding will "walk worthy of the Lord" (v.10). Paul states that those Christians who are producing spiritual fruit by their good works are pleasing God, implying that those who aren't producing fruit displease the Lord. One's works, then, have a direct effect on whether or not a Christian is growing in the knowledge of God, according to verse 10. James 2:14,17 says the same, "What good is it, my brothers, if a man says he has faith, but has no works? Can faith save him? Even so faith, if it has no works, is dead in itself." Self-professed "Christians" who aren't producing spiritual fruit are false converts, being self-deluded and self-justified (Proverbs 30:12). They are their own god. Romans 13:8-14 is one fine example that gives the humble, Bible-studying Christian wonderful knowledge in bearing the good fruit that pleases the Lord. Paul tells us in verses 8-10 to love one another by following the commandments. Following the moral commands of God assures us that we will fulfill the requirements of God's law, which is to "love your neighbor as yourself." That's an excellent start! With the urgency of Christ's second coming as motivation (Romans 13:11-12) Paul insists that Christians put away their "dark" deeds and live a transparent, public life, shining the light of God's glory for all to see (see James 5:8 for support). He not only forbids those obvious vices, but also wants us to stop considering them altogether! In other words, let your mind be renewed by God's Spirit and word, so you don't even think about such sinful behavior. God wants these vain activities removed from both our hands and our minds. He wants the activity, and the lustful desire for the activity, rooted out of our entire being (see Philippians 4:8-9). Discussion Question: Real revival relies on God's power and God's word. The Spirit falls upon us while hearing God's word, producing fruit in our lives. What are some of the spiritual fruits produced by true revival? [consider Galatians 5:22-23]. Please read (click): Colossians 1:11-14. Paul reveals more of the content of his prayers for believers in these four verses, beginning with God's power. Verse 11 is reminiscent of Jesus' words to the Sadducees in Matthew 22:29a, "Your mistake is that you don't know the Scriptures, and you don't know the power of God." Paul addressed the first half of Jesus' warning in the previous section, and now he is addressing the second half. Let's discuss God's power. The Sadducees lacked knowledge of God's Word, choosing to rely solely upon the Pentateuch, i.e. not the history, wisdom, and prophetic books of the Old Testament. Additionally, they refused to believe in anything supernatural, resulting in the denial of spiritual beings, miracles, and the resurrection of the dead to eternal life (Acts 23:7-8). This proud stance eventually led to the Sadducees' demise. People who refuse to believe God's entire Scriptural revelation will suffer from a lack of the knowledge of God's power. Pride is the breeder sin that gives birth to this serious rebellious attitude and unbelief in the true God. One's failure to believe that God can and would write a perfect written revelation to his people is a sin that leads to judgment and eternal destruction (Psalm 138:2 ESV; John 12:48; Matthew 4:4). Paul knows that correct belief starts with one's submission to God's word. Once one's trust is placed in the Bible, Holy Spirit power will flow through the believer, resulting in wisdom, spiritual understanding, and correct living. The sanctification process is within view in this passage, and it can only be accessed through God's word and the Spirit's power. Paul's prayer goes on to say that God's power will lead to the beautiful virtue of patience in the believer (v.11). Patience protects the believer from falling away during difficult trials; therefore, patience helps us to endure to the end. God's word and power works in us, keeping us grounded, keeping us trusting, keeping us secured in his love (see Philippians 4:11-13). Paul desires this patience and endurance for the Colossians, praying for God's necessary provision of power. Personal joy in the Lord will fill the hearts of Christians who seek and discover these secrets of endurance (v.11; but also see Philippians 4:4-5). Joy is the contentment and happiness God provides to those who closely follow him. Once a Christian arrives to this point in their spiritual journey, the previous command to rid our lives and minds of the sinful desires of the world becomes possible. Suddenly, our hearts are more concerned with thanking God for all of his rich, heavenly blessings, than with thinking and scheming about earthly desires. A heart of thanksgiving is yet another of the fruits that are produced by the knowledge of God and the devotion to pleasing him (v.12). Eternal life is waiting for those who persevere til the end. This spiritual insight should spark and awaken a desire for personal revival in our lives. Paul concludes this section by reminding the Colossians that God the Father is the responsible One for transferring them from darkness to light (v.13-14). God performed this incredible, powerful work through his Son, Jesus Christ (2 Corinthians 5:21). They together, through the Spirit, freed the Colossians from sin's power and forgave their past sins. Discussion Questions: Based on Colossians 1:11-14, can a person expect a joyful response during a revival? How can a person actually experience both sorrowful repentance and joy in one emotional block? [see Psalm 32:4-7,10-11]. Please read (click): Colossians 1:15-20. In conclusion, it is Jesus Christ who must become, and remain, the pre-eminent One in our Christian lives. Without him there is no physical life; and, without him there is no spiritual life. Christ is our all in all. In summary, real revival involves spiritual awakening through God's power and word. Faith and love will increase in individuals, who then become prayer warriors for the Lord. These prayer warriors will then arise to their feet and serve other people. Have you been revived? Has your faith increased? Has God's word convicted you of guilt? Are you committed to personal holiness? Are you ready to pray? Are you loving and serving your neighbor? True personal revival always, always, always results in obedience to God and loving service to others. We, by Christian association, can gain godly instruction from Paul's prayers for the Colossians. A key in successful Christian living is an ability to transfer Bible teaching into one's life and activities. In today's teaching, place yourself within the church of Colosse and let Paul's teaching speak to your heart. Action Point 1: Humans have an incredible ability to forget those incredible words of wisdom from the Scriptures; therefore, we need to be continually reminded of God's word. Let's devote ourselves to daily Bible reading and study. You're assured of spiritual failure if you neglect so great a principle. 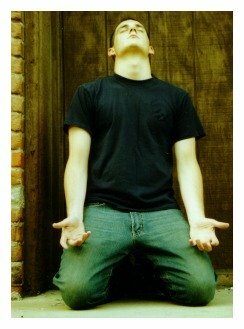 Action Point 2: Let's take another angle on Paul's prayers for a minute. We can respond to these biblical prayers by praying likewise for those Christians we love. Selfishness is a hindrance to fulfilling this basic spiritual responsibility. Paul demonstrates a wonderful model for prayer in Colossians 1. He passes on his heartfelt love to his friends in Colosse and Laodicea by much more than the simple words, "I love you." Paul actually prays for them. Praying for someone else is called intercessory prayer. Intercessory prayer is the practice of one's grace towards another person. It's a perfectly altruistic activity that backs up the words, "I love you." The deepest recesses of Paul's heart desire God's greatest blessings for this group of believers. Paul loves them and lifts them up to the Lord, continuously, in prayer. Who do you love so much that it leads you to unceasing intercessory prayer? Create a list of those people for whom you are to pray. Action Point 3: Based on today's faith, love, and hope theme, you can glorify God by softening your heart to your neighbor, and showing them the love of Christ. Awakening revival will always result in the saints' desire to love their neighbor through Christian service. Revival without active love and service isn't true revival, it's only another church service. Create a plan to serve someone, anyone in need, based on this Scripture study. Revive us again, O Lord! Through him we have also obtained access by faith into this grace in which we stand, and we rejoice in hope of the glory of God. More than that, we rejoice in our sufferings, knowing that suffering produces endurance, and endurance produces character, and character produces hope, and hope does not put us to shame, because God's love has been poured into our hearts through the Holy Spirit who has been given to us. (Romans 5:2-5 ESV). Therefore, submit to God. But resist the Devil, and he will flee from you. Draw near to God, and He will draw near to you. Cleanse your hands, sinners, and purify your hearts, double-minded people! Be miserable and mourn and weep. Your laughter must change to mourning and your joy to sorrow. Humble yourselves before the Lord, and He will exalt you (James 4:7-10 HCSB). O God, revive us again! Remove the spirit that fights against you, and renew the right Spirit within us. 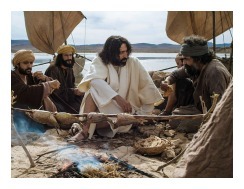 Make us thirsty for your Living Water, and make us hungry for the True Bread from heaven. Forgive us our sins, Lord. Deliver us from this evil world. Turn our eyes away from ourselves and our vain pursuits. Turn them to other people. Lord, help us to value other people as you value them. Lead us into service that glorifies you. Empower us to recognize the needs of others, and provide us with the means to help them. O Lord God, have mercy on us. Forgive us for our laziness and spiritual lethargy. May your will be done, Lord, on earth as it is in heaven. In Christ's name, Amen. Share on Facebook below and click for your Free Printable Bible Study Lesson: Prayer Bible Study Lesson. Special Note: I'm grateful to Big Book Media & Free Bible Images, stock.xchng, Morgue Files, and Stock Photos For Free for the use of their photos for this Revival & Prayer Bible Study Lesson.